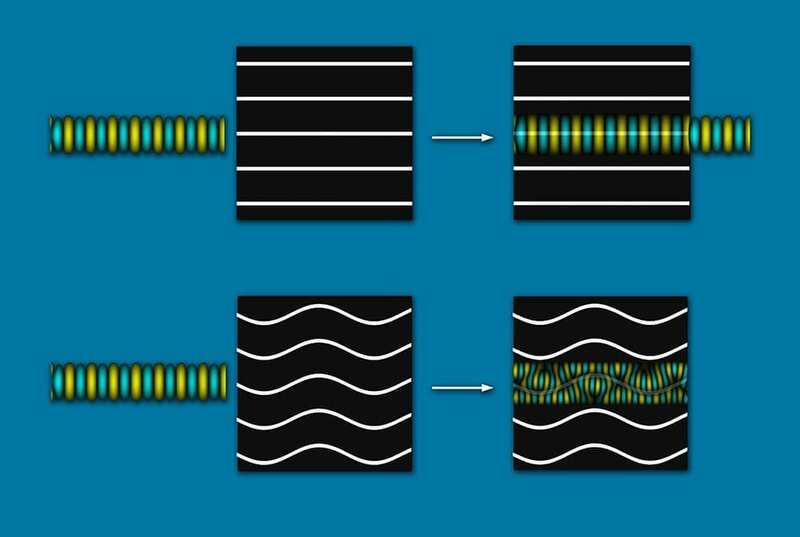 Flexible materials could provide new ways to manipulate sound and light. September 19, 2018 - Scientists Demonstrate New Method to Control the Behavior of Light SciTechDailyYale scientists have demonstrated a new method to control the behavior of light on a silicon chip — specifically, its direction — by using sound waves. February 18, 2019 - Meta surfaces steer RF, light or sound arbitrarily Electronics WeeklyMeta surfaces can be designed to steer sound or electromagnetic waves in arbitrary directions.